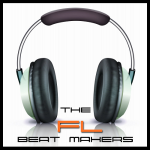 This website was created to educate and help others through the love of audio production and beat making in FL Studio. As beginners and professionals we can all learn and add to our knowledge base and skills. Knowing your DAW inside and out can help your tremendously in your journey to be successful as a producer. If you are serious about being a producer and want to advance above the competition you will find our page very useful. Our FL Studio tutorials and beat making tutorials will provide you with the knowledge you need. 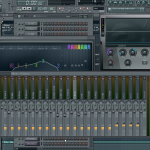 FL Studio by Image-line is an an industry standard audio production software suite that has been around for many years and inspired a dedicated group of users. The userbase includes beginners to professionals on many levels of audio production. 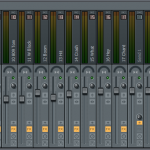 The ease of use and power combined into one package is just part of the greatness of FL Studio. Our job here is to educate and teach users all aspects of the software and producing in general. Our tutorials will cover installation, setup, sequencing, recording, mixing, mastering, arranging, and many other aspects of producing beats with FL Studio. Most of our tutorials will include video along with a text tutorial with images and descriptions. 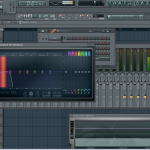 The goal is to create the most useful tutorials for FL Studio on the net. Our beat making tutorials are created at a professional level to help any and all producers at various levels. The techniques and tips displayed on this website are from industry professionals with years of experience in beat making and audio production. Our beat making tutorials will cover all aspects of producing beats. This will include, sequencing, arranging, sample selection, mixing, mastering, and much more.